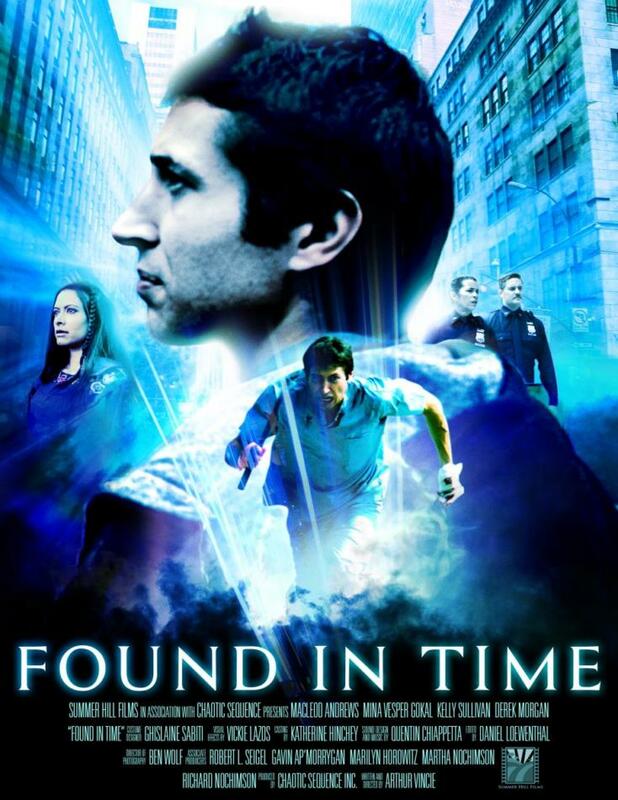 Found In Time takes place in an “altered” present-day New York City. Psychics with real powers sell their “wares” on the street, marginalized by society and closely monitored by the dreaded Psychological Police Corp (the “Psycops”). They lead dark, lonely lives, plagued as much as helped by their gifts. Chris is a psychic “collector.” He compulsively picks up the things most of us throw away or forget — pens, coins, lighters, keys, stones, and other trash — and sells them to passersby. But every object he picks today will have meaning for someone in the future. His gift comes with a big downside, however — he experiences his life out of order, “slipping” between the past, present and future. Chris tries to live a “regular” existence, and struggles to get his “slippage” under control. But when he commits murder in the future, he realizes he has to alter his present in order to prevent it. But how can he do this when he’s not even sure of when he is?